For Father’s Day 2016 we have really ‘pushed the boat out’ and came up with the most fantastic products for dad on his special day! We have published these in no specific order and each and every one would bring a smile to any dad’s face on Sunday 16th June. To begin we have a real ‘cracker’ – the Karcher K4 Full Control Pressure Washer! With the recent warm weather everyone is rushing to the garden centre to fill their pots and purchase hanging baskets – myself included! I simply LOVE my garden – and that is why I am recommending the Karcher K4 Full Control Pressure Washer as the perfect tool to help keep your outside area in tip top shape. This is simply the best pressure washer I have had the pleasure of using and I believe there is no job this isn’t ‘tough’ enough to tackle! Prior to discovering what this amazing machine could do, every spring I would spend weeks` non-stop washing my pots (all 30 of them! ), scrubbing the moss from my patio and bleaching the kids swing-set and slide. The Karcher K4 Full Control Pressure Washer has enabled these jobs to be completed in one afternoon! Yes, try it and you will agree. A big plus is that its` environmentally friendly too! The Karcher Pressure Washer has been awarded a ‘Waterwise Checkmark’ so rest assured, you are saving over 50% more water than using a garden hose. The pressure is amazing, its` like magic, I love watching the dirt and grime collected over the winter simply disappear from the patio. 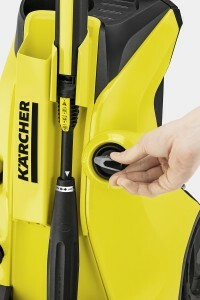 Karcher claim that the pressure is 35 times more powerful than using a hose! 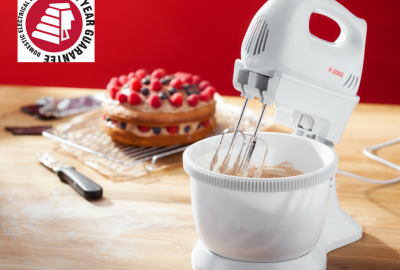 With the K4 Full Control the pressure can be adjusted to suit the job – and this is a matter of simply turning the dial! 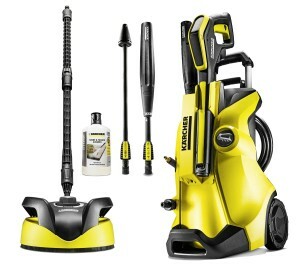 The Karcher K4 Full Control also gives your car a superb wash in no time at all. I love this as its a real pain taking my car to the local car wash. No matter when I go there always seems to be a huge queue. I can have the car washed now in 10 minutes without leaving the front drive. The pressure can be turned up for washing the wheels and underneath and turned down for more delicate areas. The result is just as good if not better than the intense ‘manual’ wash from our local garage, and a lot more cost effective as well! I have a number of Karcher products and have never been disappointed, this one in particular, I find I could not do without. It saves me so much time and energy, I would recommend it to anyone. It’ll make a fab pressie for dad on Fathers Day, a great wedding gift, or just a wonderful gift for those would like a ‘huge’ helping hand their outside to look good. My hubby is an ‘outdoor’ man and this lighter from Zippo is ‘right up his street’ so that’s part of his father’s day present sorted! Zippo is a brand I grew up. They have been producing lighters and other top quality items for almost 8 decades. Their products scream ‘quality’ and a certain element of ‘class’. 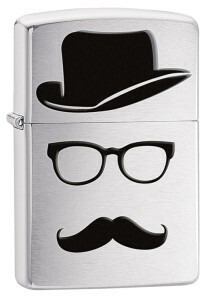 Your Zippo lighter is not just any old lighter – it’s a ZIPPO lighter! The products look very trendy, they are long lasting and pretty much indestructible. For father’s day 2016 Zippo are promoting some ‘fun’ lighters with really fab designs and I think they are the perfect product for dad’s this year. These designs are fun, on trend and very classy. 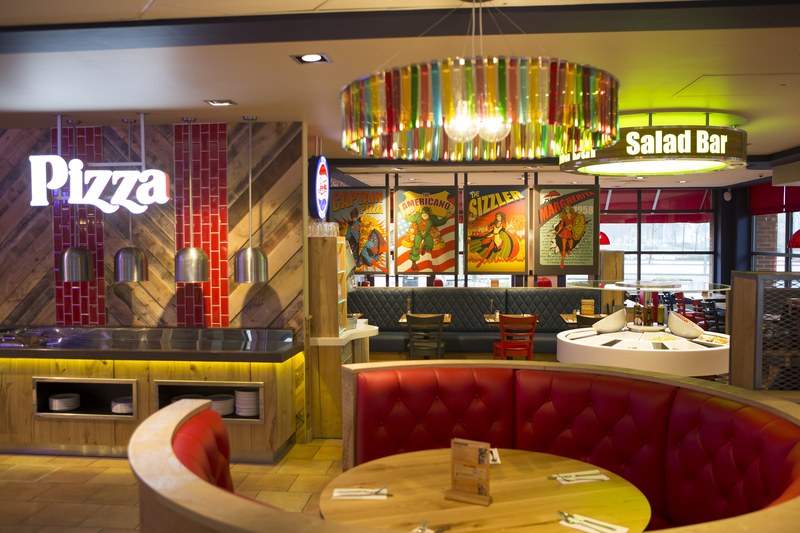 Looking for something a little bit special and different for father’s day this year? Monin have some great gift sets which can be used to make gorgeous coffee to ‘upgrade’ dad’s breakfast on his special morning. 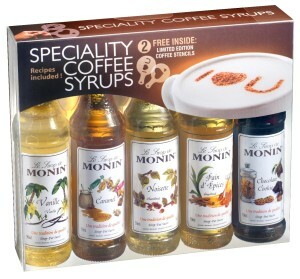 The Monin coffee syrup gift set is excellent and the syrups can be bought individually in larger bottles if your dad has a favorite. I love the different flavors and would find it difficult to pick one I like best. Choose from Caramel, Vanilla, Hazelnut, Gingerbread and Chocolate Cookie and more. Yum! Each of these added to coffee transforms your morning cuppa into a delicious taste experience, not to mention impressing your friends at a coffee morning! Snap these up for only £3 at your local Sainsbury’s in time for father’s day next Sunday. I am a self-confessed Monin addict and I cannot have my afternoon coffee without adding one of my many Monin syrups. They keep delighting me with new additions to the range and I simply have to mention this variety – ‘Toasted Almond Syrup’, its a real treat for your taste buds! 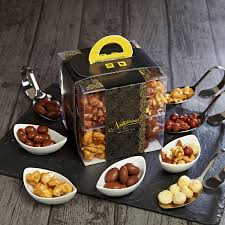 ‘Whether to be eaten raw or toasted, almonds are widely consumed for their health properties and tantalizing flavour. Amongst all nuts, almonds are the most rich in nutrients and beneficial components! 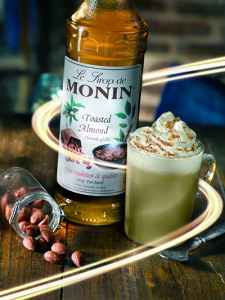 Visit www.monin.com for thousands of fab recipes or download the free Monin Ultimate Cocktails App for Android and iPhone. I can’t recommend these syrups enough, for your own pleasure, and also as a gift for dad this father’s day. Monin coffee syrups can also be purchased online via the Twinings Tea website. The extensive range of flavors include Green Apple, Melon and Passion Fruit – ideal for budding mixologists: https://www.twinings.co.uk/confectionery/syrups. From the day my son was born I have had quite a few hair clippers enter the house and exit just as fast! This is something you discover is either fab or useless quite quickly. I found the Braun Hair Clipper is rather excellent – It looks fab with its ‘edgy’ design, its very easy to use and it gives ‘salon perfect’ results at home. Braun have thought of everything down to the last detail. The Braun Hair Clipper has a cool adjustable guiding comb that allows you to cut from 3mm to 24mm. 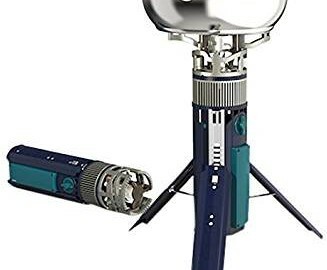 I have to add that this is very secure to the clipper as, in the past, I have used hair trimmers with adjustable combs that fall off so easily – with disastrous consequences! As with all of the Braun products, battery life is excellent. This will last you 40 mins after 8 hrs charge. If you want to use it longer than this or your charge has expired, simply use while charging. After your hair trim, the Braun Hair Clipper can be rinsed under the tap and its ready to use again. Along with the Clipper you also get an adjustable comb, cleaning brush, appliance oil and charging cord – all for the retail price of £29.99! Available from many stores online. 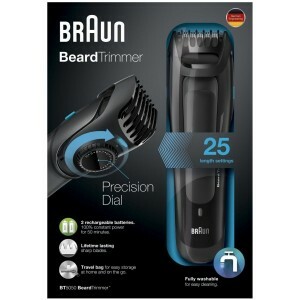 The Braun Beard Trimmer is another fab yet inexpensive device from Braun that will bring a smile to dads face this fathers day. The BT5050 suits all beards and has versatile comb lengths to allow dad to trim to his exact requirements. He can select a length from 1-10mm, or use a chunkier comb and cut to 10-20mm lengths. Again, with all Braun devices, you have the added bonus of extended charging time, battery/cord operation, universal adapter, and fully washable. 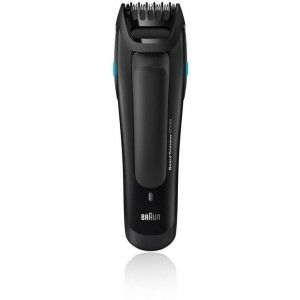 The Braun beard trimmer retails at £25.00 and that’s excellent value for such a handy device. My hubby has this model and uses it about twice a week. He is very proud of his beard and I have to admit that its always perfectly neat and trim! Have a look online at all that Braun have to offer for dad this fathers day. There are a great many products to choose from and with Braun, you know you are buying a highly effective quality item that gets the job done. Autoglym : The Collection  Perfect Bodywork, Wheels and Interiors. Wow, is there anything dad would love more for father’s day this year? My hubby will be so delighted this Sunday. He loves cars and, despite his car being older than our eldest daughter, he takes good care of it. When he is in the mood, he also takes car of my precious car too so that why I am treating him to this fantastic ‘bag of tricks’ this year. The Perfect Bodywork collection from Autoglym contains nine carefully chosen products and accessories to help you clean, polish and protect your car bodywork, wheels and interior. We have had a few of the Autoglym products in the past, in particular the Perfect Wheels set and they ready do EXACTLY what they claim to do. The Clean Wheels will have your alloys like new in super fast time. I recall the days of bringing out a mat to sit on beside the car wheels as it took me that long to clean around my alloys. I used a tooth brush and, yes, it took forever so thank you Autoglym! The individual products are well packed in a neat black bag which makes for easy storage and easy wrapping too! The kit retails for £64 and it looks every penny the ‘top quality gift’. The iconic Stylophone™ from Dubreq will make a memorable Father’s Day gift this year, with legendary fans including David Bowie, The Beatles, Queen, the Kaiser Chiefs and many more. Its the ultimate retro gift – I remember my dad having one of these over 30 years ago. In fact, since its invention in 1968, there have been over 4 million Stylophones’ sold! If you recall ‘Space Oddity’ by David Bowie, the Stylophone was used, and its also appeared on Dr Who. There are no end to this simple, yet impressive, little instrument’s talents. 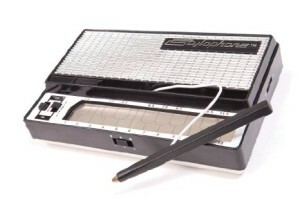 Despite its retro image, the Stylophone has cleverly been updated to allow use with headphones and you can even connect this new version to an MP3 player or similar audio device. Dad can jam to his ‘hearts content’ with his headphones on and who knows? – he may even come up with the next ‘Christmas Jingle’ for TV adverts! I love it and think it would make for a fab father’s day gift – a little bit of retro fun is just the job for a ‘trendy’ dad this year. NERF N-Strike Dual Strike Blaster. 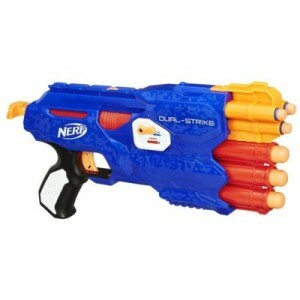 I simply cannot write a gift guide aimed at men and not mention the fab toys from Nerf. I am a huge fan and love that, with most of the guns, there are no batteries needed! I was delighted to discover the new additions to the range especially the toys suited for older ‘boys’ ie, dads! These are super ‘on trend’ in bright blues and orange with their ability to fire the larger bullets or the smaller ones – all from the same gun. Cait, my 9 year old daughter eats and sleeps with her Nerf Rebelle Secrets and Spies Strongheart Bow from the day it arrived in the house. She enjoys acting out scenes from her favourite gangster spy movie with her sister Jenny. I usually spot them lurking around corners ready to ‘shoot’ the other on sight. 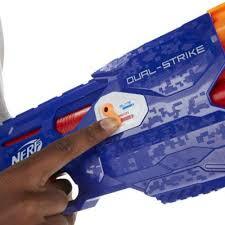 Now dad can join in with his new NERF N-Strike Dual Strike Blaster only he has the advantage of multiple bullets! Run girls run!! As far as toys like this go, do yourself a favour and choose none other than the original Nerf brand. I have had many other ‘imitations’ over the years and they have all broken, jammed or never worked properly to start with. With Nerf you are guaranteed a toy that is built to last and one that will give your ‘big child’ hours of endless fun this fathers day. 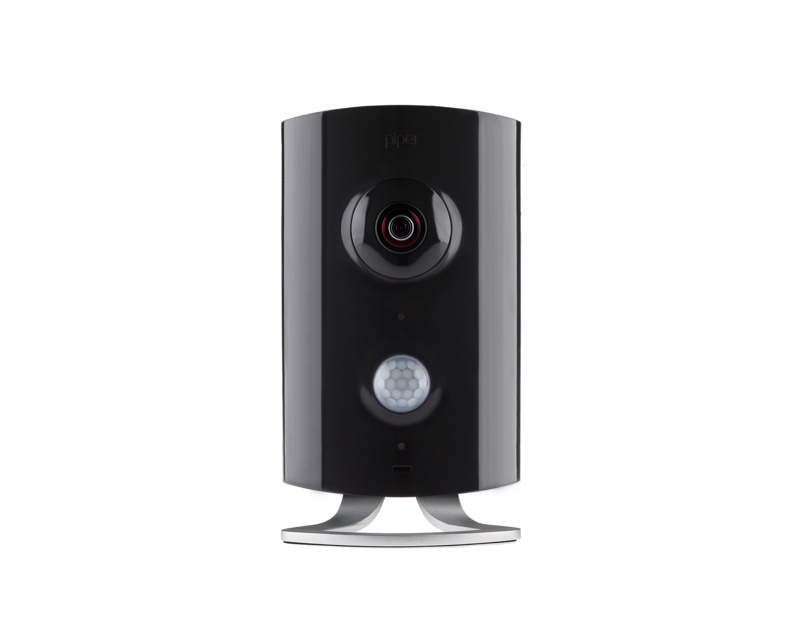 Piper nv provides you with the ultimate in home security. Fairly new on the market, Piper nv takes alarms and home monitoring to another level by keeping you informed of potential threats to your home and sending this information to your mobile phone. I know my husband would be delighted with a Piper nv this father’s day. 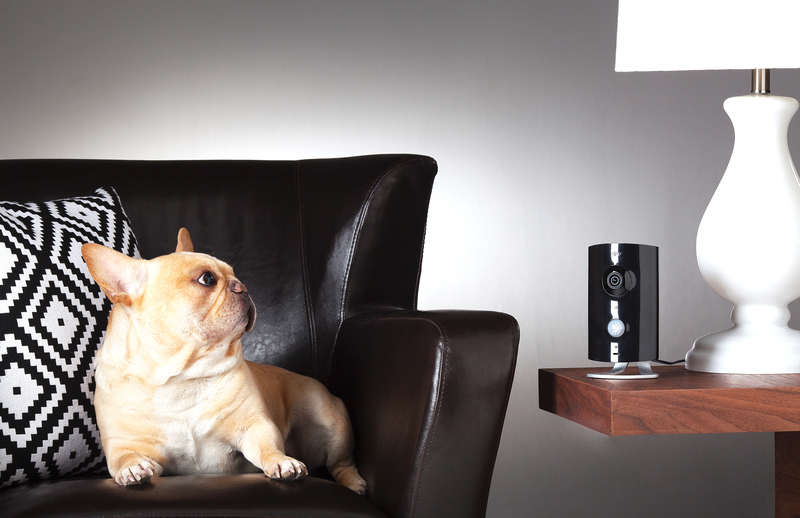 The device works with numerous smartphones or tablets and is rather straightforward to set up and begin using. While testing this device I must admit we have had a lot of fun as well. The children were keen to participate and had ‘role play break ins’ with their antics recorded and watched on their tablets. Aside from the fun factor, this function would be very reassuring if you were away and wanted the piece of mind knowing exactly what was going on at home. 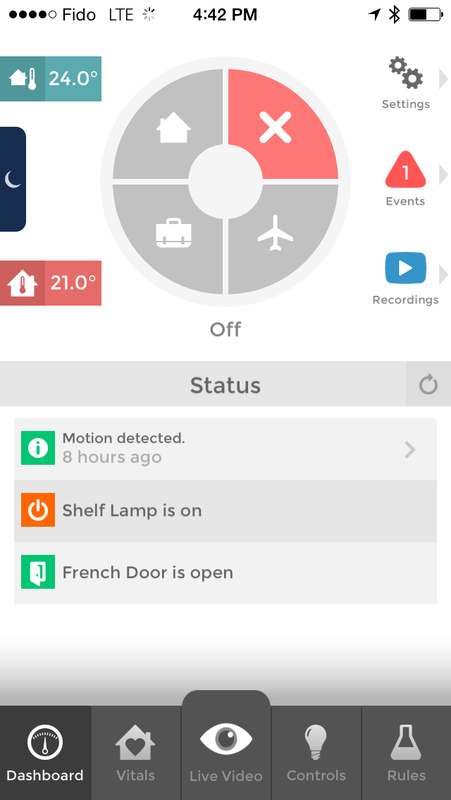 An added bonus, and very useful as well, is the capability to switch on your lights. I work shifts and in the winter I am usually coming home in the dark. This function will come welcomed as I can programme the Piper nv to turn the lights on as I arrive to the door – brilliant! I found the Piper nv simple to use with minimal setting up required and I would recommend it to Every household. 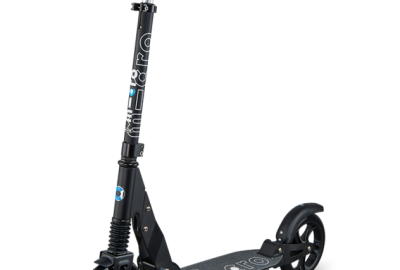 Despite the advanced technology and multiple functions the Piper nv is available for £229. Available to order from the link below. 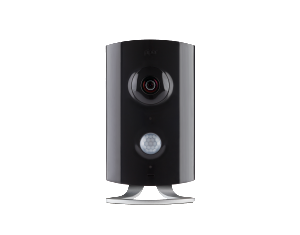 Have a look at the video on site, I really enjoyed it and its a great way of understanding just how useful Piper can be. 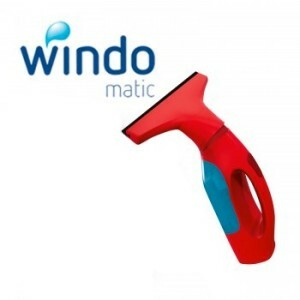 The Vileda is a battery operated rechargeable window vacuum – charger included. 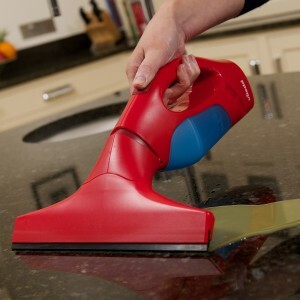 It cleans windows, mirrors and glass panels, etc collecting the dirty water as it cleans and is 100% non drip. I can clean the outside of my windows in 15 minutes and never break a sweat! However – wait until you see what this machine does inside the house! We live in a fairly old house and during the winter the condensation inside the windows is unreal. 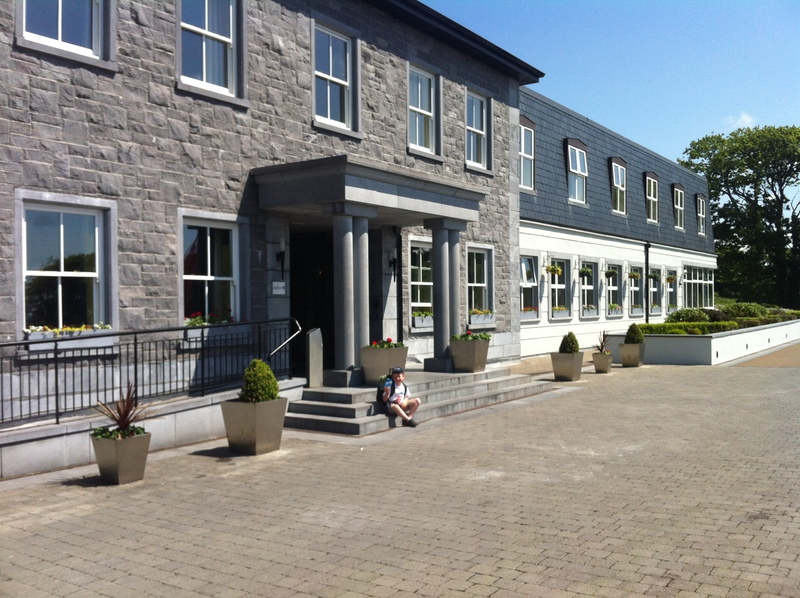 We arduously `dry` the windows every morning and it usually takes 3 towels!! This would have taken at least 30 minutes. The Vileda Windowmatic has reduced this task to a 10 minute activity. Yippee! It also makes short work of the shower door and tiles, another previously much hated chore. 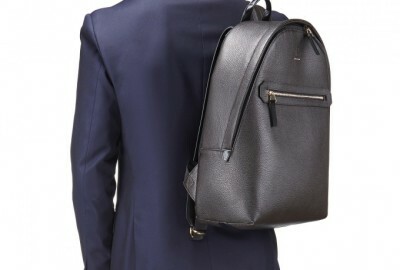 Now, no gift guide is complete without a few ‘bargain buys’ thrown in at the end. If your family is like mine, the kids all want presents to give to dad on father’s day so I usually buy something substantial and also three smaller gifts from each of the kids. 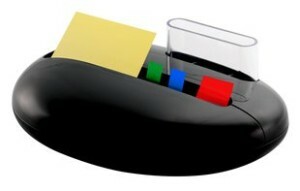 This year I am going to include these fab Post It dispensers from 3M. Cheap yet so cheerful they will brighten up any old desk or look great beside your phone. There are many to choose from and a variety of themes to suit the recipient and they are all well within budget. From a simple black stone desk dispenser to a white bubble shaped dispenser you will enjoy choosing your favourite from the website. I am partial to the Apple Z-notes dispenser – injecting some fun and colour onto my kitchen worktop! These retail from £8 upwards and the refills can be picked up easily on Amazon. Addicted to Facebook competitions like me? 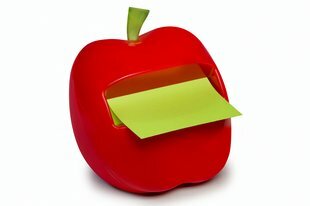 Check out and ‘like’ the link below to enter some great Post-it competitions. 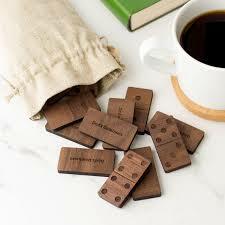 I love this set of wooden dominoes – they are presented in a hessian bag all set to give to your dad. They are made from walnut and you get 28 tiles in the bag so you can have a lot of fun with this traditional game and not a battery in sight! 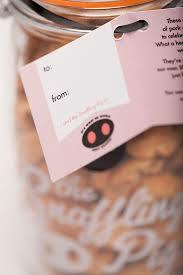 For an extra £8 you can have a message, name or date added to the back of the domino for that extra special touch. They retail at £45 and I think that’s excellent value for a personalised gift hand made in the UK. Here is another fab father’s day gift idea and they won’t break the bank. 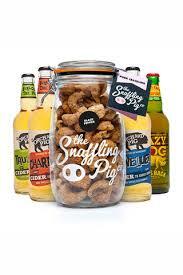 The gifting jars from Snaffling Pig have almost every flavour imaginable and they also have sets that include beer and cider! I would love these for mother’s day never mind father’s day! The pork is cooked at high temperatures to achieve the hard crisp exterior and along with the softness inside, this is the perfect combination of ‘crunch’ we all love so much. Why not have a look and subscribe dad to a months supply? The jars start at £15.99 and you can also but little 50g bags which are every bit as flavorsome! They would make perfect gifts complete with tag and taste!